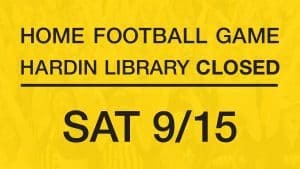 The Hardin Library will be closed on Saturday, September 15 for the home Iowa football game. 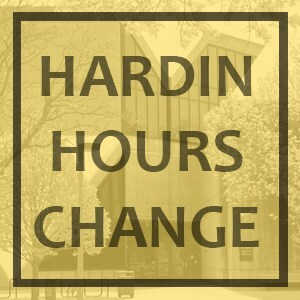 The library will reopen on Sunday, September 16 at Noon. The 24 hour study is now available to all UI affiliates with an Iowa One Card or a hospital badge.